Home Starting a Business Starting Over Startup Stories: KoolProjects Media Inc.
Startup Stories: KoolProjects Media Inc.
What does KoolProjects Media Inc. do? Tell us about your entrepreneurial product or service. KoolProjects.com is a social enterprise platform that allows both enterprise and individual users and visitors to create, share and follow a common project passion. KoolProjects moves away from the common social media activity of being “people” focused and moves to a project/ interest focus. What inspired you to launch KoolProjects Media Inc.? In 2011 I was sitting at a Ferry Terminal and saw a truck with a flatbed that held a very odd looking lump of dirt and thick metal that was completely rusted, it also attracted a lot of attention from other people. So I had to ask the gentleman “what was it?” He proudly told me that he had just dug it up from someone’s property in Sooke, BC and that it was an old dismantled military Training Tank. I had to ask him if he was going to restore it and if he would be posting the project on line so we can see his progress. His response was yes to restoring it and no not putting it on the internet because he did not have a website and was not very technical. He did think it was a good idea as he would really like to showcase this new project. This is when “the light bulb” came on and for the next two years I spent researching to see anything existed on the internet or asked people if they liked the idea, I also wanted to understand people who have a passion for projects, so I also visited many show & shine car events, community engagement open meetings and home shows. What did I discover in my research? That there are many people who have a passion for restoration, renovation, building, designing or creative hobbies and projects, whether it is automotive, furniture, motor bikes, home, art or another kind of project. They are proud of their projects and would want to share their progress and to tell their story. I also found out that many project owners either didn’t like using Facebook to showcase their projects, had basic website – with limited audience, used the old style chat rooms, found it difficult to market themselves, or was just not tech savvy to think about posting their projects on-line. So I had taken the leap of faith, and after spending the last 15+ years helping other start-up companies I decided to start my own. 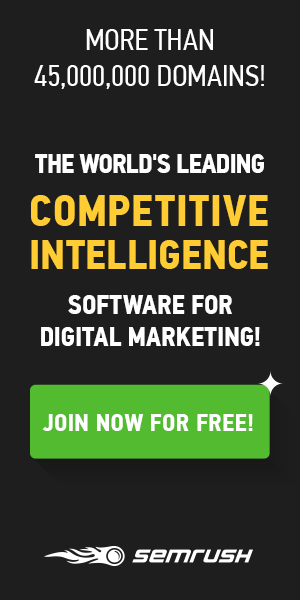 I had started a beta site which was focused on auto restoration and renovation and quickly found the site too restrictive as many other project owners wanted to showcase their projects. I shut down the beta site and in January one of my advisors, Peter Liao agreed to be my co-founder for KoolProjects Media. KoolProjects Media Inc was founded May 2014 and with a vision to become a fun and highly interactive social platform for anyone who has a project and want to record their progress, attract followers, and create a like-minded interactive community. We also discovered that many organizations, government agencies and enterprises are also looking for a solution that allows them to showcase projects to stakeholders, customers and community members in a non-invasive and friendly format. They need to show transparency of projects and also be better engaged. With KoolProjects these organizations will be able to have a platform that can address their communication and engagement short fall while having the ability to cross-pollinate and showcase their projects with other followers on the platform. What problem does KoolProjects Media Inc. solve? There are many people who have building, construction, restoration, renovation, artistic or creative hobbies and projects. Whether it is smaller projects in automotive, furniture, education, art, and home or larger projects such as building, event installation, community and construction. Owners of these projects are proud and would want to share their progress, their story, their pride and joy. KoolProjects is a fun and interactive social and enterprise platform for anyone who has a project and want to record their progress, attract followers, and create a like-minded community. What has been your biggest challenge starting KoolProjects Media Inc. and how are you working to overcome it? Funding the company we are too “early” for seed and angel investors so we have been bootstrapping big time. I am holding down two part-time jobs while we gain traction. What milestone do you hope KoolProjects Media Inc. will have surpassed one year from now? I hope is that KoolProjects becomes the social enterprise of choice for anyone who really wants to showcase their projects. It would be amazing to have over 10,000 projects on the platform. How has Project Eve helped you and orKoolProjects Media Inc.? 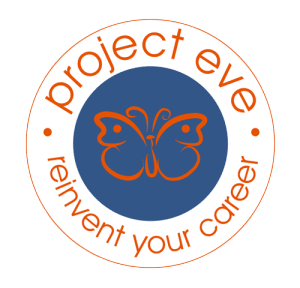 I don’t know yet – I have just signed up to Project Eve. Give us an insider tip that relates to your industry or the startup story for KoolProjects Media Inc. If you have an idea for a project or you have always wanted to do something – just do it and showcase your progress! You would be surprised at how many people out there would love to follow and watch your project unfold. Company Name: KoolProjects Media Inc.